Ashtons Legal are big supporters of local and national charities. In 2014 we decided to take our fundraising efforts to the next level by launching the Ashtons Charitable Trust (registered charity no1158182). The aim of the Trust is to raise funds which will be passed onto specific charities and community groups, no matter what their size, by way of grants and donations. 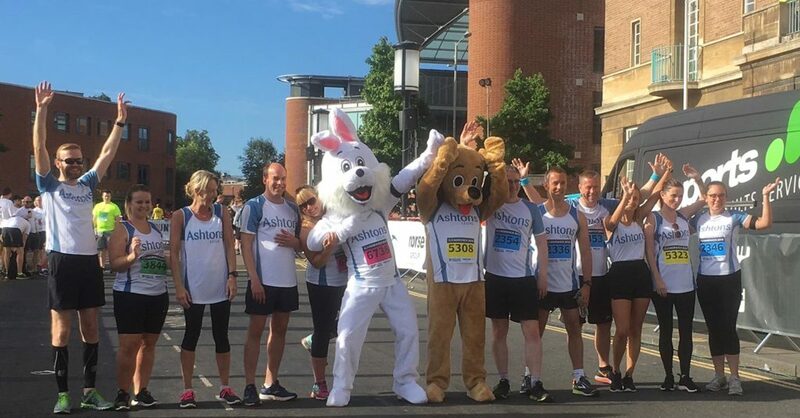 Ashtons Legal supports the Trust with a variety of initiatives and events planned throughout the year including our annual Wills Week, dress down days, cake sales, crazy golf tournaments, treasure hunts, corporate lunches, and inter firm golfing and bowling competitions. We also support our staff who take part in sponsored sporting events such as sky diving, running, cycling and adventure challenge events. If you would like more information, please go to the Ashtons Legal Charitable Trust website or email us at: csr@ashtonslegal.co.uk.